We sat down to talk with Richard Lui, news anchor for NBC and MSNBC and long-distance caregiver for his father, who is living with Alzheimer’s. Every week, Richard travels coast-to-coast to be with his family. Tell us about your father Steven’s Alzheimer’s diagnosis and how it came about. It began with a diagnosis of dementia. The interesting part is my Dad never had a great memory – it was something we joked about. However, what started to happen was much more extreme. Dad is one of 13 children in his family, and at Christmas, his youngest sister Fannie pulled me aside and said, “I’m concerned, Steve is forgetting our names.” He agreed he should get tested. This was about five years ago, and it resulted in a diagnosis of early signs of dementia. It wasn’t until about a year and a half after that that he was diagnosed with Alzheimer’s. I’ve always traveled back to San Francisco from New York for family gatherings. During these visits, I was able to see moments in time — snapshots of my Dad, if you will — and I began to notice the differences in him. It was probably more nuanced for my mother, who lives with him, but I saw it, and now make the 5,000-mile round trip to see him once a week most months. As a caregiver, how do you make this long-distance, long-term travel work with your schedule as an anchor and reporter? The practice of consistently going back and forth helps me gather the information I need in a short amount of time. I try to stay with my parents when I come back so I can observe the nuances and changes…how it’s difficult for Dad to brush his teeth or walk down the block to get a haircut. Sometimes it’s hard to put on a strong face, but I do what I can to help my Mom, who is Dad’s primary caregiver. From a professional standpoint, I am so thankful my supervisor understands the situation I am going through. When we sat down to talk about changing my work schedule, I found out she was also a long-distance caregiver who traveled to take care of her mother. She knew I had to start thinking about options immediately. Like a good journalist would do, she brainstormed options, and six months later our strategy was in place. My boss has been absolutely supportive of my need to go back west, having four to five days off and working two and a half days a week. That is very uncommon for very practical reasons of the way journalism works but NBCUniversal has been nothing short of amazing. Your mother was born in China, and your father in San Francisco’s Chinatown. Have there been difficulties or cultural barriers in finding a support system or talking about the disease? We are a multigenerational Asian American family, and each of us assimilates differently, just as any American family does in their community, city and social circles. When it comes to the way we handle my father’s diagnosis, each brings individual strengths. More broadly, Asian American and Pacific Islander (AAPI) families like ours take on responsibility of caregiving without thinking twice – an unwritten and sometimes unspoken practice that family is number one. But interestingly, despite this core family strength, few talk about it, nor share best practices openly. That said, my Dad doesn’t fit the stereotype. He was always open to whatever had to be done when he was sick and the same is true with his Alzheimer’s. One decision we made as a family was my Mom and Dad’s living situation. Instead of moving because of my childhood home’s dangerous stairs, we decided to remodel their house so my Dad wouldn’t be shocked by a strange living situation which could cause more loss of memory. Instead, we created a stairless ranch level apartment in their tall “Full House” type San Francisco home we all grew up in that would help Mom and Dad’s long-term living needs. Interestingly, these are not topics we would typically talk about…long-term care, planning ahead…but because my father is so open, we were able to talk about it bluntly. How has your profession helped you handle your father’s Alzheimer’s? Taking a plane is second nature to me; it’s like walking out the front door. That is why, despite having the most demanding travel schedule of my siblings, going back once a week to help my parents is not a big deal. And as a journalist, I learned years back that in order to tell good stories I had to emotionally access parts of who I am that I wouldn’t have had to otherwise if I was not a journalist. I feel comfortable asking difficult questions about care facilities, financial planning and other sensitive topics. I don’t want to do it, but we need to. How did growing up with a close family help you face the challenge of being a caregiver? We’ve always been a tight-knit extended family. Twice a year, my father’s side of the family would go to the cemetery and burn fake money and leave food for my grandfather, along with his favorites – whiskey and cigars. At Christmas, we would have 90 people together – cousins, aunties and uncles all celebrating the holiday. From road trips à la the “Vacation” movies where we piled into the station wagon to see my Mom’s family in L.A., to gathering for Ching Ming, it was never explicitly said “you have to take care of your family” – it was simply understood. We were close, and we will always be close. It’s just how we are. Caregiving is an extension of that. What are the tough moments you’ve faced since your father’s diagnosis? There have been many emotional moments. Most recently my father has lost the ability to shave, and I helped shave him for the first time. He laughed and smiled and thanked me as I cleared his whiskers. As a young man, my father was the one who taught me how to shave my chin. So this latest change was symbolic. And it was saddening. But it was my honor, too. I want to be the one who shaves him every day – but I can’t. What moments of joy have you found since your father’s diagnosis? I find moments of joy every time I go home! My Dad is a joyous person, which is much different from his personality before the diagnosis. He was a pastor and couldn’t support the family on his salary, so he became a social worker to have a steady income, but that didn’t pay much either and he wasn’t built emotionally for social work’s noble but trying tasks. He cared too much and was often stressed. As a social worker, he was forward with people and told them what they had to be prepared for. In a way, he was equipping himself to be the happy embracive person he is today. And there’s the silver lining. He accepts his diagnosis for what it is. For my own part, I’ve had to accept Dad’s Alzheimer’s diagnosis spiritually and emotionally. There was a time when I would describe being with him like watching my father die in front of me. Now I see him being born again in front of me. Life is a stack of pancakes, and Alzheimer’s takes the top pancakes little by little until you’re left with none. But through this process, my father has shown me another side. He hugs me and kisses me and tells me that he loves me over and over again. This is the person he always was who I’m only now getting to know. Your mom is your father’s primary caregiver. What has her experience been like, and what have you drawn from her strength? Mom talks to one of her good friends whose husband also has Alzheimer’s. She also talks to some of her other close church friends who are also caregivers every couple of weeks. She has a support system but despite that, I know this road hasn’t been easy for her. In moments when she’s alone with my Dad and I am in the other room, I can hear the frustration of a person who had been steely, personable, forthright and honest her entire life. She comes from a golden generation of exceptional values, but I can sometimes see the crack in her armor. I listen to and look at the other women (who I call aunts) that my Mom gets support from. The commitment they’ve all made is exceptional, without a squeak or a squawk. I wish I could draw just a little bit of that attitude and energy into my life and do something to the degree they do—it’s amazing. When I am at home in San Francisco, I sometimes hear Mom speak to Dad in certain ways and I tell her that he won’t understand. What she has said is too much; it’s too complex. “No, no no….if I say it to him, he will listen,” she says with her endless amount of hope. And sure enough — sometimes he does. She doesn’t give up. She is a hidden hero. All caregivers are. Richard Verdi, David Hyde Pierce & Richard Lui at the 2016 New York City Walk. About Richard Lui: Richard Lui has had an illustrious career that has included roles in marketing, strategy and technology. Today Richard is a journalist and news anchor for MSNBC and NBC News and is known for his humanitarian charity work. He served as emcee for the 2016 New York City Walk to End Alzheimer’s. GREAT blog Richard. Thank you for sharing your very personal story. I wish we all had bosses like yours at MSNBC! It is a sad situation when a loved one is diagnosed with some form of dementia. I’m sorry for your family. Often times friends begin to back away; this is sad for the caregiver and loved one. We all need friends, but it is scary for friends as well. They usually don’t understand and withdrawing is all they know to do. There is help and I hope that your mother is able to, not only have assistance with your father’s care, but also find an adult Day Center for him. This would give your father a sense of purpose and make friends and give your mother time for herself. I am the owner of an adult center in Maine and I see the benefits of participating in a center for both caregivers and their loved ones every day. I would love to see you do research and report on the benefits of adult day centers and help to get the word out there that centers for people with dementia may seem scary at first but soon the caregiver and the loved one will appreciate the many benefits. Centers have trained and experienced, caregivers who are compassionate and are very helpful to the caregiver and loved one. My mother has taught me that Alzheimers isn't always an unmitigated disaster. My mother was always a very private, guarded person. I never felt I knew her. When she was in the early stages of Alzheimers, she seemed to forget that she was reserved. She told family and personal stories that she had never shared before. She became much more affectionate and peaceful. Even now, getting on to the late stages of her disease, she is constantly singing, long past her ability to talk. I feel that her walls are down and that I am finally seeing who she always was. She is truly a joy to be with — we hold hands and smile to each other, and she sings "Jesus, I love you so very much" in her cracked, growly voice. In a way, Alzheimers gave me my mother. I am one of 10 children whose mother suffered from early onset dementia. Our mother was in her forth decade when she could no longer remember our names; and eventually lost all of her language. Dorothy's smile communicated her love for us until the end of her life at age sixty. Her faith and joy was nothing less than life changing for me. 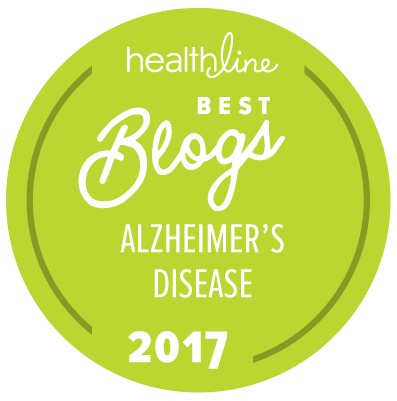 This article is timely for me, as I think about how to ask my grown kids for more help with my husband who has Alzheimers. I am a past caregiver who lost my husband 2 yrs. ago. If it had not been for a group of caregivers and their loved ones who gathered twice a month my journey would have been harder. I suggest that your Mom find such a group who primarily help the caregivers cope with the situation. There are respite opportunities for caregivers here in Fla. and I suggest she find some thru her local Alz. Association , Alz dr,Agency for The Aging. Keeping the caregiver in good mental health is very important, because it can be very wearing. The most heart breaking moment was when our 3 boys walked into our home and their father said who are these men in my house. Keep the faith that it won't happen to u. As I read your story I am sitting here in my Virginia home tearing up…..this disease is in control and that hurts. My mom has dementia and it has gotten to the stage that she hisses. I am trying to deal with this by myself. I have no sisters or brothers. I am an only child. Mom is 82 years old and I am 51 years old. I am not married or have a boyfriend. I am in therapy to help me get through this. Good post Richard. As a caregiver for my husband with alzheimer's and a mom of a caring son, I related to your post. How about taking mom "out of the other room" and talking with her about her life? My guess is she will be more than happy to talk about her world with her life partner who is, in my words, "backing away slowly". Her heart is breaking over what she no longer has. Your story is so inspiring, and hopeful. My mother has dementia, and will be 93 yrs. old in a couple of weeks. She was the main caregiver for my father when he was living with Parkinson's and Parkinson's dementia. For the last year of his life, he was in bed, and my mother never complained once and never even considered placing him in a nursing home. She is able to remain in her home due to her wonderful spirit, but is not aware there is anything wrong. If you ask if she has been to church, she always says yes even though she hasn't been in over a year. She has very little short term memory left. Her niece lives with her, with the rest of us helping, and we are hoping she will remain at home for the same reason you kept your dad in his. They do so much better in an environment they are familiar with. Thank you again for your wonderful and powerful story, and we will keep you all in prayer. A very thoughtful and helpful commentary. Thank you Richard! Thank you for your tender, caring article. I had an aunt and uncle with Alzheimer's and now my oldest friend is undergoing the terrible changes associated with this. It causes an ongoing grief for family and friends as the person's individuality diminishes. Great story Richard. Thank you for sharing your story. I admire your strength and I know it’s not easy and also a very busy career. I too was a caregiver for both my parents. Dad has Alzheimer’s and mom with dementia. It’s sad to see them going down hill day after day until they finally give up. Loved both of them and they are now both at piece and together again. I appreciate the fact that your family takes the attitude of caring for your Dad as expected. As a caregiver myself for my husband for seven and a half years it is difficult at times but also so very rewarding. Loved seeing you willing to help so selflessly. Now if the doctors could look at it differently they might find their words comforting instead of troubling. The majority of doctors I come in contact with have the attitude of you should institutionalize. Richard- your story is close to my heart. I applaud the emotionally tuned in son that you clearly are today …that’s refreshing! I have 3 sons and I hope our experience with ALZ will result in the same type of men. Both of my parents have ALZ and they live with the 5 of us in Cle Ohio. We added on to our home to accommodate them both last year. We have 24/7 help with them as my husband and I both work. I wouldn’t have this situation any other way. I’m so happy they’re with us and we ALL learn valuable lessons each day. We have a blog site http://www.daisydementia.com which we started last Apr. We too strive to be honest and open with our thoughts and emotions. The blog is so helpful! Have a wonderful holiday season with your family! This article hit home for me, because I am also a long distance care cover for my parents. Mom had Alzheimer’s disease and dad has dimentia.I’m.Lucky because I work from home for a software company, and have free standby travel benefits due to my spouse’s job. Anyway, like Richard, I try to find the joy in every trip including this last trip on November 10 in which my mother passed away holding my hand. I would love to meet Richard and compare notes.I know we have lots in common. The most difficult part of my mother’s Alzheimer’s was when she stopped speaking. It started in early 2009 until she expired in 2014. My mother was a wonderful lady who loved everyone she came in contact with. She loved her family, friends, her country and most importantly her God. My prayer for everyone touched by this disease is that you will only remember the great times you had and those memories can never be taken away from you. Love your afflicted family member and tell them you love them. They will know it. My son and I went to see Mom back in 2013. My son was 16 years old at the time. As we were leaving Mom’s room, my son kissed my Mom on the forehead and as he pulled back she looked at him and smiled. Remember to spend as much time as you can with your loved one. Peace and happy Thanksgiving to you all. Thank you for sharing Richard. Very encouraging words for a new caregiver for my 91 year old mother. Just been caring for her, and working 40 hrs a week, with my daughter and my sister. We all live together and share in caring for her. Recently Mom fell and fractured her pelvis and is learning to walk again. Otherwise she is very healthy. The deterioration is so very hard to watch in someone who was once so strong and independent. Stepping up is both frustrating and awesome at the same time. My older sister was taking care of Mom until she became ill last year and she did this for several years. Richard Lui, I like that you said about your mother: “She’s a hidden hero. All caregivers are.” Your poignant account of your weekly cross-continental trips to visit your father who has Alzheimer’s and your mother who is his primary caregiver reminded of my husband’s weekly visits to his sister who died on February 20 of this year. Alzheimer’s runs in her and his family so he had an autopsy done on her brain which showed that she indeed did have Alzheimer’s. My husband was fortunate that his sister would light up with recognition of him when she saw him coming down a hallway while she was sitting at a table in a care center dining room. Her ability to do that lasted until the very end. He, however, needed to drive 100 miles for his weekly visits and he is retired. You are to be commended for your attention to and help with the care for your father although it takes traveling from New York City to San Francisco for you to do so. I was caregiver for my mom with dementia for 3 yrs. I stayed home because I wasn’t comfortable with strangers looking after her. It was 24/7 of exhaustion, mentally, physically & emotionally draining. I finally had to go back to work so I placed her in assisted living near the house so I could visit on the weekend. I’m in NYC & have a sibling in Boston who never offered to help. I was in the ER when she was hospitalized, brought her supplies or anything she needed. Basically I had to give up my life for her. Last year her health took a turn for the worse & we spent the last 3 months of 2015 in hospitals, rehab and finally hospice. What you’re giving your dad is irreplaceable. I don’t know how children can abandon their parents after all they did for them but sadly many do. I miss my mom but wish she was still here & I’d do it all over again if I had to. You are a hero and a most magnificent son. Hurray for you and warmth and growth for your family. That she once read to me …. When I sat upon her knee…. And I will never let her down …. This was very touching. I wish our American culture embraced taking care of family like you do! THAT COULD BE OF HELP TO HIM. He was put on Aricept several years before the official statement that said ALZ WITH PARKINSOME.I feel the Aricept slowed down his illness. we were close and as the years went by, we were able to have honest conversations. Yes, for about 3 + years, I was his caretaker until it started taking its toll on me. fortunate, he was a good patient and was still able to talk some.! We talked to him all the time even at the very end HE KNEW WE WERE WITH HIM.!! You are a very good son and believe me, he knows it. But please get good help to help your mother, she also suffers. Write more stories,no one knows what going thru this is like unless you have been there!! Perhaps you doing so will help those at the very top give some help to those that have no insurance or help at all!! My mother died two years ago. I had primary responsibility for her care, and during the time I spent with her, I was fortunate to work as a volunteer for the Alzheimer's Association. I continue to be amazed and uplifted by the constant and total commitment famlies give to supporting their loved ones. That and the common thread to all our stories. My mother was on hospice care for 29 months, but it was rare for her not to smile and attempt to tell me I was pretty. I do not regret most of the time I spent with her over the 6 years after her diagnosis, and I am so thankful we were able to keep her in her home with two wonderful ladies who helped me care for her. Richard thank you for sharing your story of your Dad. I like your outlook on how you are accepting your Dad’s Alzheimer’s. For it is truly a difficult disease to see a love one disappear as the person you once knew so well. I understand how your Mom feels for as a caregiver for my husband, hope is what helps us survive those moments of frustrations, hoping maybe the next time they will understand. Good luck Richard with both your father and mother. I recently lost my mother 4-12-16 to ALZ . She was one week short of her 91 st birthday and 69 th wedding anniversary to my father. He just celebrated his 94 th birthday.At the time I though I was going to loose him too. Thanks for your sharing. It will help me draw strength to support me in my own care giving roll for my wife who fortunately still lives together with me. I am a viewer of MSNBC and hope to see you in some reporting role in the near future. Richard, there are so many joys of Alzheimer's that people don't tap into because they are often so concerned with the fear and "burden". But the peace and calmness in people like our dads is very comforting to us. You are right it is a great honor to help them and to take care of them in any meaningful way. Bravo for your positive attitude. I did all I could for my dad in NJ who I lost 2 months ago. His life was important and meaningful, especially with the Alzheimer's. Thank you for writing this. I hope your dad is happy and calm and wish you many years together. I've also experienced what you have found in your relationship with your father. My step-mom is in her later years and the later stages of Alzheimer's. I too cherish the time I spend with her and my dad who is taking care of her at home. Alzheimer's is definitely an up and down ride from day to day, but I still see the love my father has for her and her for him. He keeps her going and she, with her limitations, still tries so hard to take care of him. She's been my mom longer than my birth mother before she passed and I grow fond of seeing her peal back the layers of her life and a gentle softer side she shows as the years pass. It's an honor to still have her in my life! Richard, I love how you describe getting to know your father again. It was my experience as well. Enjoy every pancake! Dear Richard: I am a third generation Chinese from Hawaii. We (my partner of 30+ years & I) sold our home & retired to Las Vegas w/the intent to travel & partake of experiences we postponed while leading hectic responsibility driven lives. Miles was diagnosed w/Early Onset Alzheimer’s in 2014 at 59….I’m back, Miles had a meltdown because he could not find his gold neck chain. He’s ok now. So, in conclusion, your words echoed my thoughts & feelings & I thank you for that. We are not alone & are descendants of a mighty culture expecting us to live up to our potential & responsibilities. Thankfully, I am now retired & able to focus as a care partner to Miles. Kung Hee Fat Choy! You are a good son Richard. My mother, my best friend, passed from this terrible disease but rest assured, even though your father's congnitive abilities are fading, he will always feel your spiritual love. God Bless your family and give thanks for the special moments and memories. Beautiful story Richard. I can relate as well. My dad had this dreaded disease too. After trying to manage paid caregivers for about a year I found it too difficult. I moved him in with me for about 3 years. I was one of the best choices I have ever made. I learned so much about my dad. I was his primary caregiver and as an only child in a family that didn't want to get involved in his disease I did everything. I did have 2 caregivers who helped me giving me 5hrs "off"each day. I took advantage and learned all about his time served in the Navy, his favorite class in school, his favorite toy as a child, etc. It was a wonderful experience for me as it is for you and your family. Dad actually taught me how it felt to hv Alzheimer's. Amazing time I was given. Enjoy and learn all that you can Richard. Let this be an amazing time for you as well. God Bless you and yours. Amazing story thank you for sharing …..I was having a sad day as a care giver today and your story lifted my spirit. Very good job Richard, I became emotional hearing your story because I lost my husband in 2015 due to dementia three days before his 67 birthday, your story sound so much like my story. God bless. God Bless you and your family at this most difficult time. I watched my slip away and my heart continues to break for his struggles. He passed away in 2012. I pray God gave him his memory back when he got to heaven. Thank you for this wonderful story. The part about Alzheimer’s being like a stack of pancakes is great and says it all. My mother is nearing the end of that stack. It has been such stress on the family. I used to think our family was close. Unfortunately it brought out cracks. Mom went into the nursing home immediately upon my Dad’s death. He kept a lot from us and took on a lot himself. His death was sudden and Ma’s condition plummeted to some degree. Emotionally it’s taken a toll. But it is soooo wonderful to hear how you take care of family. But it is worth mentioning caring for a parent in home is just not realistic for some families. Traveling long distance weekly is not either. Financially it just can’t happen to say the least. It sounds like you are very lucky you can and have the means. The nursing home memory care centers – even the so called better ones are not and pose unrealized difficult scenarios. Thank you again and God bless you and your father and your family. That is love. I believe or have to that they know or feel it at least. It breaks my heart to see no one visit some folks in the home and I know for many reasons one such being is seeing the deterioration in a parent or loved one. I know that difficulty and stress first hand. Let’s not forget this. So my prayers and admiration goes out to you. Let us be thankful for the smallest thing….their presence. Let us pray that in the difficulty we learn something positive and to remain strong. My husband's personality never changed – always happy, optimistic, as helpful as he could be; my brother, much less taciturn, more given to story-telling, and my mother, like your father, more loving and accepting of her non-conformist (in her eyes) daughter. All taught me much and I miss them every day. I enjoyed and appreciate your story of your father and mother.Thank you, Richard. and I look forward to the next. Thank you for sharing your story. Kudos to this wonderful son! If every son or daughter of someone with dementia could even do half as much, what a difference it would make. I am sure his Mom appreciates her son so very much and feels less alone because of his support. What an understanding supervisor to let him make those changes in his work schedule. As a primary caregiver myself I am very impressed! Thank you for sharing your families story. God Bless you and your family. Thank you for your loving and caring story! What a wonderful story of love. We are all called to this story in one way or another. As someone who works with people with dementia as well as a family member, I would like to stress that you relish the times that are good, and take care of yourself. There will come a time that the person you know and love is basically gone and those are the very tough times. I am so proud that your work has accommodated your travel and caregiving needs. There will be a story for you to tell through this both short and long. Keep up the good work and may your family be blessed through their selfless commitment to the family. You are very lucky to be able to travel back and forth to help with your father. My father lives in Florida and I am hear in NY. Financially and due to work I am not able to see my father as often as I like. All I can do is cherish the moments when I do see him and call as often as I can. You are a caring and loving son. One day I hope we find a cure! I can identify as my grandmother had Alzheimer's and I went through a whole lot with it. A beautiful story from a dedicated son. I wish I could help his mother, but my experience with dementia before my husband died taught me what I had learned as a teacher. People, like students, come in many flavors. When I went into my spouse's world I became his one support source he could trust, but I had to do it completely. When paranoia threatened, I had to drive him in the car, away from the fear, until it subsided. His mental retreat required a backward journey through various life stages, but I treated them with curiosity about his life before I knew him. I always agreed with whatever he supposed. It never lasted. I would like to teach caregivers how to handle their spouses, but have learned personalities vary, even in the same family. My son was empathetic. My daughter suffered to see her dad decline. Lui is a remarkable man. Thank you for sharing you story. You and your family have been very blessed. My mother has Alzheimer’s as well – 8 years since the diagnosis. We are 5 siblings. One brother is the primary caretaker, although there are 2 home attendants that come for 12 hours a day. Some days are better than others, as is life. Love your outlook that your father is being born again. Very inspirational. Nothing will replace the commitment and personal contact that some families make to their loved ones, who live far away. Richard Lui's narrative, and the historic bonds of Chinese families, in particular, may be a lesson to us all. In the meantime, technology may offer some help. A half century ago, physicians at Massachusetts General Hospital faced a similar challenge in trying to reach patients at Logan International Airport during a time when there was only one tunnel between the hospital and the airport. At rush hour, it was impossible–and sometimes impassible. Using a "camera on a stick," telemedicine was born. Decades later, "haptic" technology now enables people to remotely "touch and feel" one another. Many assume that dementia patients and those born in "pre-technology" times won't respond to such connections. Like the famous advice given to "Virginia," whose friends told her Santa Claus was not real, they were wrong. Thanks for your story, Richard. I enjoy watching you on MSNBC. My mama had Alzheimer's and unlike your papa, she was not a happy camper. I was 500 miles away and could not make it home as often as I would have liked. So glad he can be at home. Make sure to get support for yourself and that your mom gets breaks as well. All the best to you and your family. It is not an easy job trying to care for a loved one with Alzheimer's. For those that are willing to take on the backbreaking, selfless, heartbreaking, 24 hour, daily, and loving responsibility for someone they love…it should never be denied them. My 2 sisters and I tried to honor our parents desires by caring for our mother with Alzheimer's after our father passed away and a Missouri court denied us this as has happened in many courts across the country. Families are torn apart and these precious elders are ripped out of the homes they are familiar with and desire to be cared for in by the people that love them. Please go to Change.org and sign the letter "Alzheimer's – Change Laws". I liked your blog/Interview. It reminds me of what I am going through as a caregiver and I am so glad that you can speak freely about it to a large audience as people who have the means to help with this disease need to hear about this disease and what it can do to the loved one as well as the caregiver over a long period of time. Thank you! Thank You so much for sharing your story you are a wonderful son. My husband was diagnosed with Alzheimer's in 1998 and he died in 2011 at age 75 I took care of him at home the last 3 years he was in a hospital bed I am thankful I had a wonderful nurses aid so I could get out and get some relief…so much work to do but I loved him and wanted to do it. If your mom can get to an Alzheimer's support group meeting it will be very helpful to her she will learn a lot. Carolyn: I have a similar story and, being a writer and filmmaker, made a feature film that toured the country, using professional panels on stage with me to educate. Now we send the link for folks at no cost, so if you desire to see it and, afterward, think it might do some good with others you'd like to help, let me know and I can send the link. I am walking this journey as you are. However, I am in the 3rd walk since both of my parents eventually had dementia. Now my husband was diagnosed in 2010. Unfortunately, I no longer can be is total caregiver and he is in full time care at more than $6500 each month. It is very frightening to spend that kind of money for care for most of us in my generation. Yet, I would encourage you to not let your mother become the victim of your father's disease. Please take care of her also. Richard: I made a feature film that toured the country, YOU ARE HERE, that allowed us to educate the uninitiated who, unlike you and me, may not have been touched yet by this disease. After years of touring, we have decided to send the online link for folks at to see it, so if you desire to see to, on the off-chance that it might do some good with others you'd like to help, let me know and I can send the link. By the way, David Hyde Pearce had two copies at one time, so maybe you can mention it to him – I never stop trying, and I'm always thrilled when someone in the public's eye like yourself personalizes their story so the rest of us know we are supported, which was the joy of doing the tour, knowing we were reaching out to caregivers who often felt they were alone. Good for you. My mother has delusions that I am stealing items from her (some sentimental items, family photos, her marriage license, prayer blanket, etc). My last interaction resulted in extreme anger and was about physically aggressive (she had a wooden board and tried to hit me with it). My dad has asked that I stay away since any attempt to visit her was so hurtful and she has become so agitated. She refuses to get medical help for what we (children and spouse) :believe is the beginning of alzheimer's. Any advice? Hi Vickie. We are sorry to hear what you are going through. Please call our 24/7 Helpline for resources and advice about your situation at 800.272.3900. A professional can help guide you when you call. My mother has been living with my husband and my self for 7!yrs now . My mother Dorothy's dr said my mom has the regan Alzheimer's. She is healthy and eats and knows our names but can not remember 2 min what happened ! She is 85, and her mother had it also we lost her when she was 86 . I'm staying strong! I am one of 5 children it is hard to get help but I promised my father I would take care of my mom!